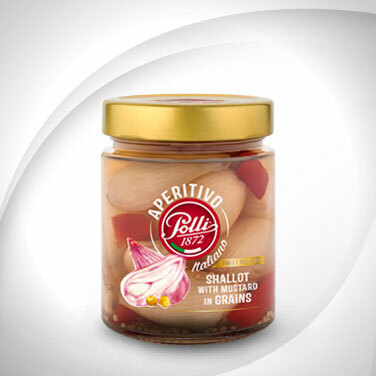 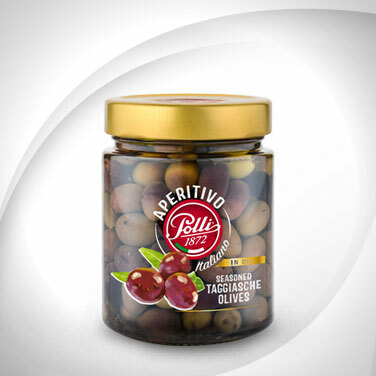 With our Aperitivo Italiano range we aimed at offering the best Italian products for appetisers: olives from many Italian regions, all delicious! 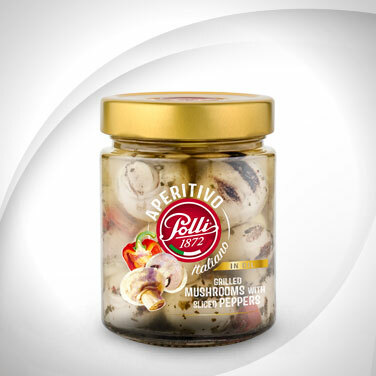 A must-have of a traditional Italian hors d’oeuvre, but especially of a home-made aperitif. 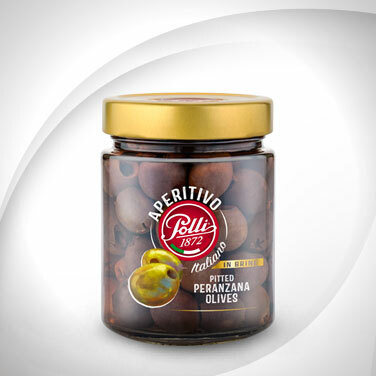 Nocellara olives are particularly large and tasty, they are produced in the Belice area of Sicily as well as in Puglia. 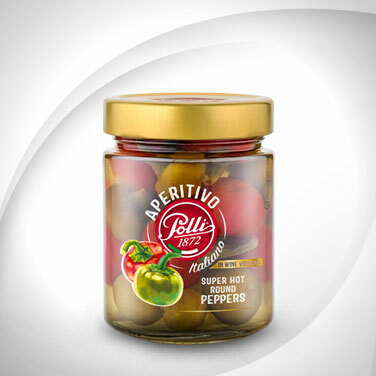 They have a well-rounded flavour and a crunchy, moreish texture. 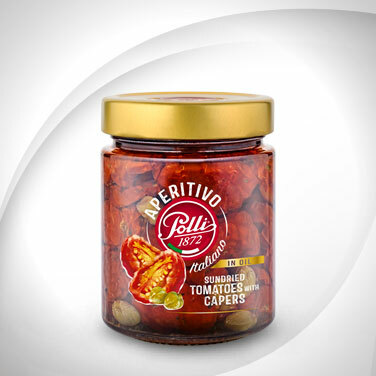 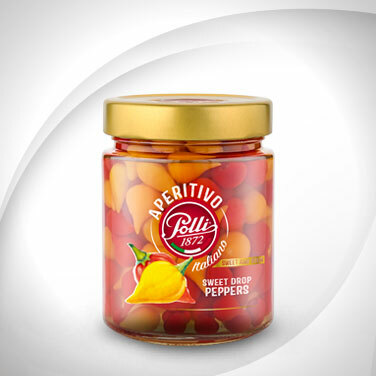 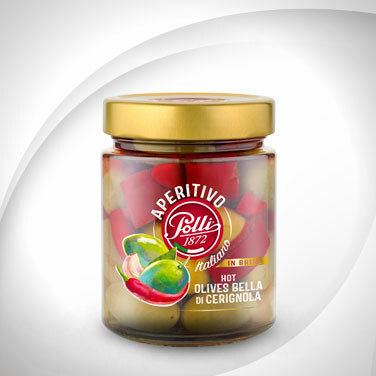 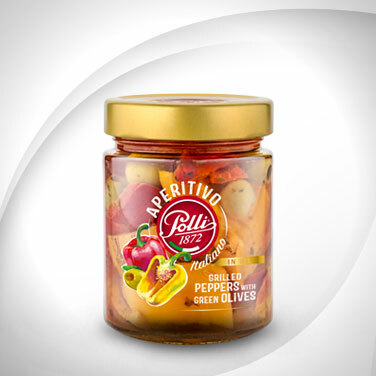 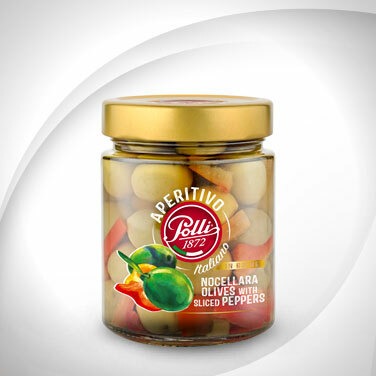 We have seasoned these exceptional olives with a julienne of red and yellow peppers: a feast for the eyes as well. 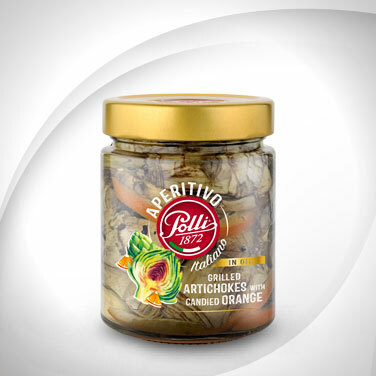 They are particularly suited to accompany Sicilian cheese and salami boards: try the coppa or Nebrodi black hog lard, sweet sausage with fennel seeds or salami with pistachio, or the aged provola sfoglia or a slice of baked ricotta. 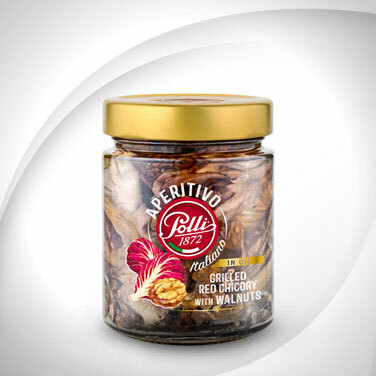 The pairing with Sicilian wines is mandatory in this case, so here are some valuable suggestions from our tastings at Vinitaly: Brut Rosè Donnafugata, Grillo Lidiae Avide, Timeo Grillo Baglio di Pianetto, Grillo Kebrilla Fina, Lalùci Grillo 2015 Cristo di Campobello, Kiggiari Grecanico Baglio Oro and finally Perricone Rosè 2015 Mandrarossa, which everyone will like but is especially popular with the ladies.